Wishbone Day: On Wishbone Day, 6th May - We say STOP! On Wishbone Day we say STOP! We recognise the overwhelming desire for individuals and communities to raise money to find a ‘cure’ for OI. 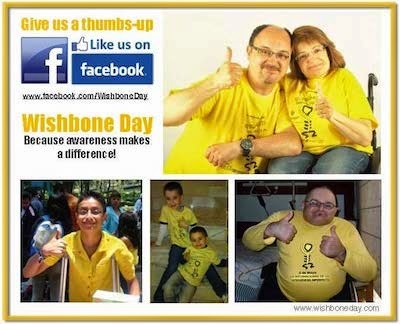 But on this one day -- Wishbone Day, 6th May we say stop! We want you to celebrate with us, not for us. We want you to recognise the strengths and abilities of those living with OI, to acknowledge challenges, celebrate successes and to recognise that there is more to OI than a cure! Awareness really does make a difference! and it doesn't cost a cent! 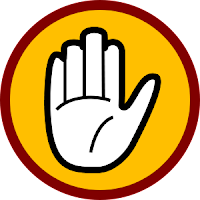 Speak to a person living with OI and they will almost certainly say that their biggest challenge in life is not their OI but rather the attitudes and assumptions made about them and their life by others. So this Wishbone Day we invite you to ‘do it differently’ -- make it your priority to share in those stories, challenge your own assumptions and make a positive difference in your community. Hit up the comment link below and tell us how it goes!